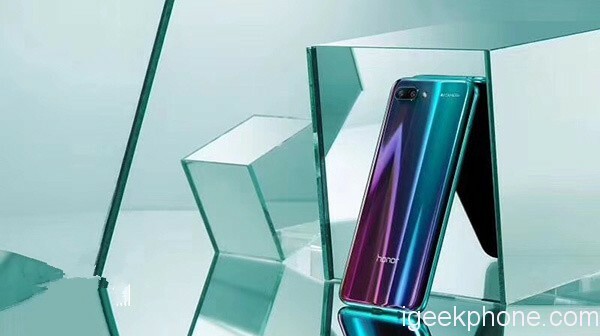 Huawei Honor 10 today is released in Shanghai, China, its 6GB+64GB version sells at 2,599 yuan, $433, 6GB+128GB version at ,2999 yuan, $500, it will start to preorder from April 19 to April 26, and officially sell on April 27. 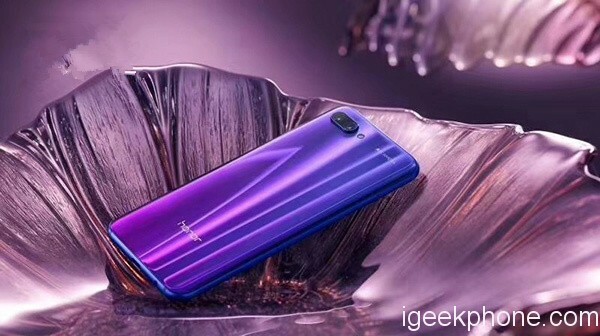 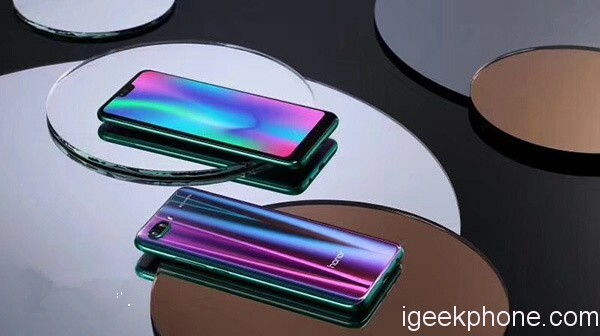 In design, Huawei Honor 10 uses discolored auroral coating and biaxial curved glass design, top notch and fingerprint scanner, offering grey, black, blue and purple color. 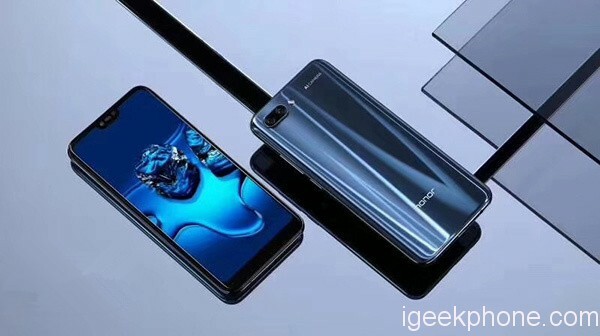 As for other aspect, Huawei Honor 10 is built in 3,400mAh battery, supporting 5V 4.5A quick charge, it can charge 50% power in 25 minutes, coming with RAM 6GB ROM 64GB/128GB internal storage, preinstalling EMUI 8.1 OS based on Android 8.1 OS, supporting HI-FI sound quality, new Party mode, AR gesture, AR game, etc.